I am riveted with embarrassment and anger over a recent experience with photos on Facebook. Because of where things stand as of this writing, I am compelled to using this platform to extend a public apology to Sara Michelle Gellar. While trying to tag a photo on Facebook of my cousin’s dog (French Bulldog named Gellar), Facebook autofilled the name of the New York born actress Sara Michelle Gellar and I found myself technically unable to untag the photo. I have never known so much mortification and anger at maximum levels simultaneously. While I accept making mistakes, Facebook cannot be designed to default to the nearest popular name when entering a name – and more importantly – one must be allowed to untag a photo when a mistake in tagging is accidentally made. This post was not written to vent, but rather to try and get in front of this and offer my humblest and most sincere apology to Ms. Gellar. 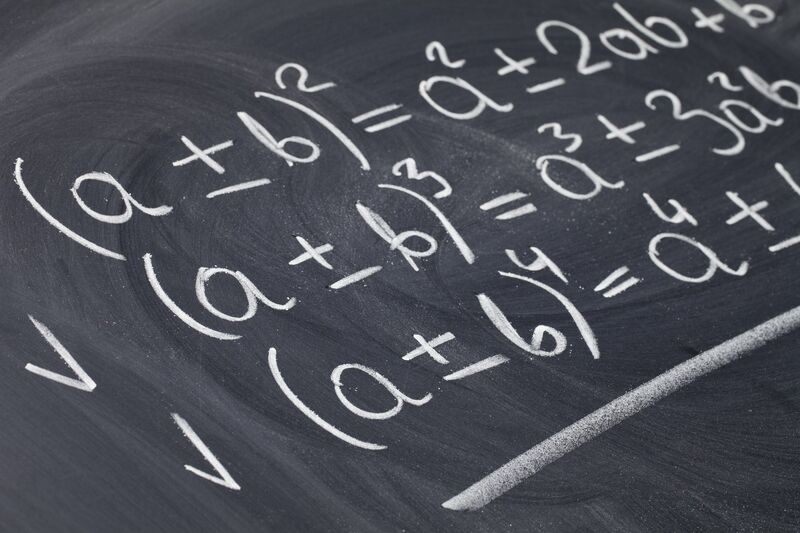 Algebra – the bane of existence for countless secondary school students. And for many, algebra is a source of entertainment in the way of puzzle solving for many others. I fall into the latter category. Engineering was my undergraduate academic path perhaps in part because, at least from my perspective, the path to problem solving was more prescribed than not. By this I mean we were taught algorithms and formulas to use when solving the myriad of problems we might encounter. When we were faced with a new problem, our creative latitude was bound by the constraints of mathematics and science. We were in a sense always guided by rules in our pursuit of a solution. Later in my career I was involved in computer coding of moderate complexity at best to automate repetitive computational tasks. While I had creative license to derive the solution, I was nonetheless limited by the rules of logical syntax – and yes, even algebra. Any computational line of code using variables to store numbers is, by definition, using algebra. Contrast that with what we refer to as ‘design’. Perhaps not the textbook or mainstream definition, I would not be for off in tendering a definition of design as something that is bound only by the limits of human imagination and can arouse strong and enduring human emotion. Design is manifested in so many parts in our lives: architecture, furniture, appliances, automobiles, technology and yes, even – dare I say especially – literature. Design is what it is because of what it evokes in us. That is perhaps its most significant distinction from algorithmic problem solving. Other than a transitory personal victory, (“Yay, I got the right answer!”), algorithmic problem solving is not evocative in the way that design is. Emotional reaction to design is a highly personal matter. And since we are all different from one another, successful design can be especially challenging. It requires a level of creativity than goes far beyond the creativity required to overcome challenges of the situational and physical environment. Building a structure to withstand the demands of its environment offers few creative options; all bounded by the rules of physics. Designing something, on the other hand, to move people emotively is to operate without rules and its limits extend all the way to the expansiveness of the human mind. Similarly, writing a collection of words to entertain or otherwise maintain engagement of an audience is one thing. To write something that shifts the way a person sees the world and how they operate in it is another. As I have suggested, there are no rules in design. There is however, a necessity in understanding and contextualizing humanity’s common denominators – whatever they may be. My point in opining on this is personal and poignant. I am (for better or worse) in the throes of trying to bring – yet again – a new idea to the marketplace and thus into the world. It is relatively new and the even the sense of need itself requires no small amount of effort to create. At this stage, there are no rules, no sets of formulas or equations to arrive at an answer – other than a few known fixed costs. The answer is not known. The answer itself is being created by constantly moving forward. And that is a paradigm I am not used to. I am extremely grateful for the support and contribution of a few friends without whom I wonder if some days I would be overcome by otherwise feelings of despair. In a recent conversation with a friend of mine about the viability of an admittedly audacious business dream, a disparity emerged on the optimism – pessimism spectrum. It lead me to reflect on my musings about the influence our attitudes and views on future events have on real outcomes. On February 25, 2003, an episode of the popular sitcom Frasier aired in the U.S. entitled Fraternal Schwinns. Pressured to participate in, rather than just contribute to, an AIDS fundraising bike ride, Frasier (played by Kelsey Grammer) and his brother Niles (played by David Hyde Pierce reveal that they never learned to ride a bicycle. Niles’ wife Daphne (played by Jane Leeves) offers to teach them both in the park. Frasier is afflicted with constantly riding straight into a sycamore tree and the dialogue goes something like this. The take-away reveals that what we focus on is what we will likely achieve. Let me use another bicycling example – not a surprise to those who know me. If you ever watched a pro bicycle race in the high mountains, it is almost beyond comprehension how well the twisty descents are handled at high (be it momentarily reduced) speeds. A couple years ago I attended a training camp that focused on climbing and descending skills. While climbing requires muscle and respiratory training, successful descending requires a skill I call fast-forward looking. 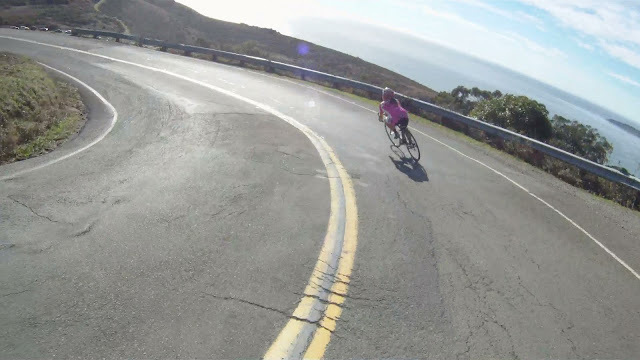 Navigating downhill around an almost U-turn on a switchback is accomplished by focusing your eye on the line you want the bike to travel through the turn and where it is you want the bike to go – not on a fixed point directly in front of you. The reason for this is because if you focus on a fixed point in front of you, you will be on that spot within fractions of a second without any thought given to what lies ahead. At the speeds obtained going downhill (gravity effects pros and amateurs alike) there is no time to plan where to go next and panic ensues. On the other hand, if you focus on the path ahead where you want to go rather than a fixed point you will more safely and successfully navigate your way to your overall destination. Applied in business, once we commit to a course of action, we risk failure by focusing too much on why or how we might fail. We should instead stay focused on where it is we are trying to go – the road ahead. This only furthers to case for focusing on the positive. Things will go wrong – just don’t focus on what you fear might or could go wrong. Are you playing to win or playing not to lose? Any successful athlete knows which mindset works best. Henry Ford once said, “If you think you can do a thing or think you can’t do a thing, you’re right.” If you focus attention on what you want to avoid you will inevitably hit it. 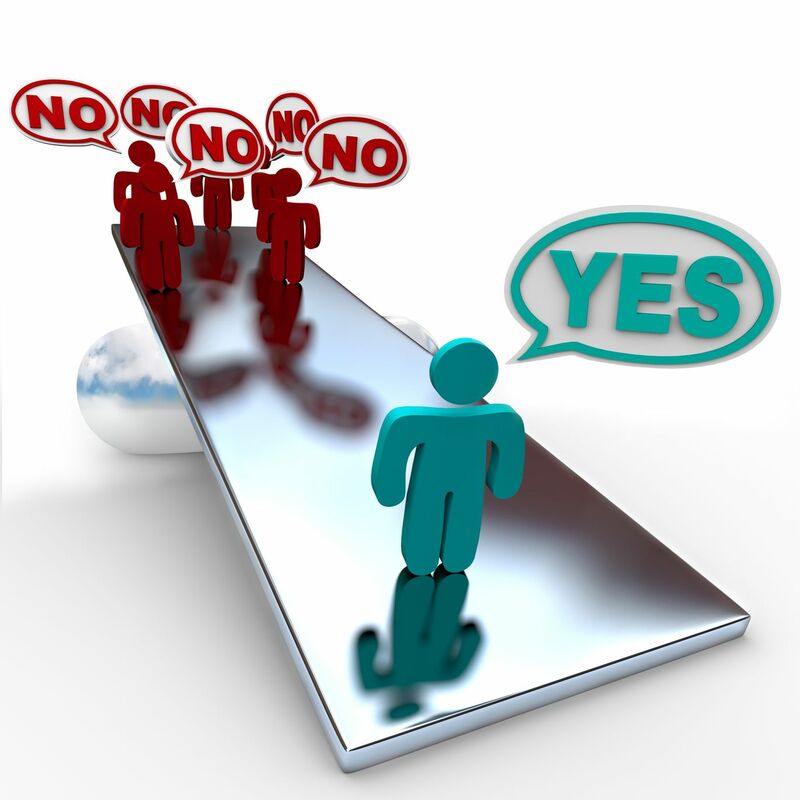 Don’t run your business as if your trying to avoid failure. Identify the path you wish to follow and as they say in cycling, Hold your line! I wish a wonderful day to all! Special Thank You to Miko & Jon at http://weliketobike.com/ for allowing me to use images from their blog website. If you are one of the thousands – dare I say millions – of people who enjoy spending countless hour on the beach in the summer and you have migrated completely to the spray canisters to apply your sunscreen, PLEASE STOP!! I continually observe the same thing over and over again. Users of the spray-on sunscreen use the product without regard to wind speed or direction. I have too often watched people spray on the sunscreen and almost ever drop that came out gets taken away by the wind and none of it ever lands on the skin. Even worse and more frightening is when used on very small children and then off to play in the sand they are sent with no measurable protection against sunburn. So when folks get sunburn I suspect many will rail against the sunscreen manufactures and some might even try the class action lawsuit approach. Let us try a different tact. Let’s take responsibility and become attuned and observant to what is really happening around us. Let’s try some situational awareness on for size. Trust me, one size can fit all. On the economic front, using these sprays without regard to whether the product is actually arriving on the skin is literally money being blown away by the wind. Which shamefully may be be the intent of the manufacturers. In that case, yes, let’s string ’em up! When using sunscreen, please, use the lotion most of the time. You know it’s being applied by skin to skin contact. For the sprays, I do use them but more for the hard to reach places like my back or on my feet if they are full of sand. And I always make sure I am positioned such that the area to which I am applying the product is a few inches downwind of the can. Stay sun-safe folks. Summer and the beach equals fun. Sunburn, not! On a family television program many years ago, one of the characters (a man in the middle age range) was giving advice to a young boy. While pointing to this head then his hands, he said, “If you train these two things, you will never go wrong in life.” I took such advice as sage. I figured that with a learned mind and skilled hands success was a sure thing. Not going to college following high school, I spent four years in the trades in my late teens and early twenties. I learned a great deal about home construction and the proper use of hand and power tools. I also acquired a keen eye of detail and a sense of right and wrong in its mechanical manifestation (i.e. keep rain out of the house!). Following this – and about the same time many of my peers were graduating – I returned to college to earn a degree in engineering. Certainly, I was now well on my way to life of success. Upon graduation, I spent the next several years as a management consultant and never practiced engineering professionally – other than a few complex equations here and there. Feeling I was still light on some executive level business acumen and hungry for yet even more knowledge, I self-funded my way through an intensely powerful and life transforming Executive MBA program. Between the gifts of my hands and my mind, I could not imagine anything standing in the way of me achieving untold success. How naive I was. No matter what corner of the professional world in which I chose to operate, I wasn’t going to get very far without skills in relationships. To be sure, I am very personable and I warm up to most people with relative ease. Moreover, I have an innate ability to sense looming breakdowns in relationships I observe whether as a participant or bystander. I learned a great deal about the soft-skills of leadership and I do place great value on relationships. I mentioned skills of the brain and of the hands; both of which I feel I have in spades. Developing deep and trusting relationships – even in business – is a skill of the heart. Knowledge and manual dexterity will get you places but earning trust for your credibility, authenticity, and integrity is a skill that truly sets apart those with enviable success. A person who is both a genius and an alchemist but lacks this third skill – relationships I believe, is destined for struggle. Relationship building is not a single step process to be marginalized. It requires a devotion to a process and authenticity of self towards others. In others words, it requires the same dedication to mastery as does craftsmanship and knowledge. I am committed to my own growth in developing business relationships at this level. In closing I want to extend a warm thanks to my friend and fellow business school alum, Bogie Rosypal, for his contribution to the insight for this blog. It was during a conversation with Bogie that this idea of relationship as a third skill emerged such that I could articulate my thoughts with the result being this post. On this Valentine’s Day, I request your indulgence as I break away for a moment from the normalcy of the theme of my blog articles. Today, I wish to discuss a topic that rarely (i.e. very nearly never) comes up when our heads are engrossed in our work life. The topic is ‘love’. This is not about integrating love in a discussion around work. My intent is to provide something to ponder if you are one of the multitudes who, especially this time of year, find themselves reflecting about their life’s course where intimate relationships are involved. I will mention up front that this is a little autobiographical – which for me is reaching beyond my comfort zone. I am going completely off the ranch today. Saddle up! On this Valentine’s Day, I am immersed in reflection of all the indescribably fantastic romantic relationships I have had in my life. The experiences I have shared with my ex-girlfriends have been nothing short of magical. And still, I have inevitably wound up making my way to the exits. This Valentine’s Day I find myself compelled to analyze this. That I am analyzing an emotional phenomenon is something that surely surprises no one who knows me well. To begin, I want to share a story of love felt, stifled and then lost. For nearly a quarter of a century, I have resisted temptation to allow one very painful experience to be incorporated into the narrative I tell myself about my existence. I have done this because I did not want the memory of one individual to ever serve, or be seen as serving, me as a crutch. I am convinced now that by suppressing what was truly the first feeling of love in my life, I have put myself, and those with whom I have been involved, through horrific emotional pain. If you are among them (I am referring to no more than about a handful) please know that my love for you was real then and even today my affection is strong. I am truly sorry for my role in the pain we experienced together. In the spring of 1988, I was looking forward to my fast approaching 21st birthday. My parents agreed to throw a party at our house and I thought that was really cool. I began calling friends to invite them. I called one of my dear friends Tonia and before I could share the news of the party, she interrupted to say she had something important to tell me. I went to her house and learned the news that would change my life forever. She had just been diagnosed with leukemia and the prognosis, while not immediately dire at first, was certainly not good. Tonia and I met a few years earlier at the house of a mutual friend. I remember that night like it was last week. We nearly watched the sunrise together we talked for so long. Our relationship evolved into a very special friendship. I loved hanging out with her either alone or with our other friends. We never actually dated. I never wanted to ruin the friendship we did share and I lacked the courage to move our relationship towards anything more no matter how strong my feelings. I believe that then, as still today to some measure, I lacked trust in my feelings. During our friendship, Tonia dated a couple of guys here and there. In a weird way, rather than be jealous, I felt happy for her. If I did not have the courage to tell her how I felt, then at least someone could make her happy. Despite my determination to keep my feelings suppressed, I know now and have known for some time, that I was in love with her. I know at that post-adolescence age, ‘in love’ can often be a mask for a myriad of sensitivities. I am convinced even to day that I was in love because the feelings I had then for her are as sharp in my mind today as any experience from my youth. So let’s return to the crushing diagnosis. Well, within fourteen months, her battle was lost. I visited Tonia often (at home and in the hospital) during in those fourteen months. During my one of my last visits in the hospital, while she was unconscious, I finally manned up and told her how I felt about her. I could only hope that she heard me, and that she took leave of this world aware of my love for her. Within days, she was gone. I have no idea if she felt the same way about me and to speculate one way or the other is only to invite undue torture upon myself. Her death completely crippled me emotionally. The pain I suffered from this has left such a mark on me that to this day it impacts my ability to allow myself to fully “fall” in love. If there is even the iota of a chance of feeling that degree of pain from loss, I seem to have taken the position of forgoing the joys that love offers. I have loved since and for many I still hold in my heart a great deal of love. I am a loving person. The difference is in the degree of full surrender. Here is where the nerdy analysis emerges. I had concluded that falling in love is something for someone else. Please forgive the cliché and the near reference to the lyrics of The Monkees “I’m A Believer”. I realize now that this paradigm has only served to structure the narrative I tell myself about my rightfulness in receiving love from another person. For 24 years, I have not been willing to accept the love of another simply because I either did not recognize it. If I recognized it, I was afraid of it. If I was not afraid of it, I did not trust it. If I trusted it, well, then I simply questioned my deserving of it. The strange thing is that I was loved greatly as a child so the question of deserving is a mystery. Being adopted may play a role. I am not a psychologist and can’t opine – especially since I am the obviously the most non-objective person here. So today, nearly a quarter century later, I feel that I must give myself permission to allow the story of Tonia into my life’s story. I can only hope that by doing so, I can also learn to grant myself permission to recognize, trust, and accept love from another person, and more importantly, from myself. If you have someone in your life who means a great deal to you – tell them so. Do not wait. If you are without a significant other this Valentine’s Day and that is not your preference, first smile and love yourself. If this is difficult, do not beat yourself up. Accept the difficulty and start from there. Second, ask yourself, what narrative do you hold as true that might be holding you back from receiving love of another person? I wish a Happy Valentine’s Day to all! 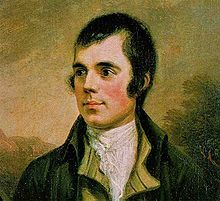 I was recently invited as a guest to A Robert Burns Supper with the St. Andrew’s Society of Philadelphia. One of my best friends from my childhood is a long-time member of The St. Andrew’s Society along with his father who has held officer posts in the past. I have attended many formal banquets in my life but few, if any, have ever compared to the structure of which I witnessed at the Robert Burns Supper. The evening was filled with energy and networking. Throughout dinner there where several brief remarks made by a few prominent individuals in the society. Looking at the agenda, I counted no less than 13 such moments throughout the evening when someone would get up and share a few words. For the most part such words were solemn; sometimes they were intently delivered with humor (including light innuendo) and sometimes there was interactivity with everyone in attendance. I, as the outsider, was left presuming that the messages and the craft of delivery were steeped in a rich tradition that predates the Independence of the United States from British rule. During the evening there was one part where a gentlemen took to the podium to offer The Toast to the Lassies (queue up the the playful innuendo). At the conclusion of this toast, a woman took to the podium to deliver The Reply to the Laddies. With so much laughter and ceremony surrounding the evening up to this point, it was quite apt for this woman to poke playful fun at the antics surrounding the evening by referring to the night as being filled with “goofy pageantry”. I realized right then and there that it is indeed the fun we purposefully design into our lives that fuels tradition and not just solemnity alone. If you wish for sustainability in the design of tradition, keeping elements caged that will incite laughter is indeed ill-advised. Go ahead make ’em laugh a little. That will provide enduring inspiration to carry the torch far in to the future.